Marc: …that gives me an idea, Gene Simmons is a musician, right? so maybe, you need to communicate with him in his own language! Marc: No? No! the language of music! 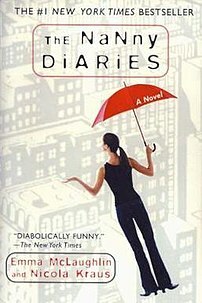 I was fortunate to watch the movie, “The Nanny Diaries,” staring Scarlet Johansson. This movie was touching and I had shed a tear in some endearing moments of the movie. The movie is about a recent college graduate named Annie, played by Johansson, accepted the job of nanny to Grayer the child of Mrs. X. It shows us the amazing role of nannies in today’s society not just in the United States but everywhere. I had a nanny while I was a small child, without my nanny, my mother would not have been able to work. Fortunately, my mother was not an absent mother as portrayed by Mrs. X.
I hope that nannies or household helpers around the world are treated as human beings and not as emotionless robots. They too are as human as their employers, they have the same needs as anyone else.